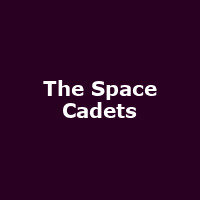 "The Space Cadets were formed in 1995 and have been one of the most successful bands of that generation of mid-90's Rockabilly acts. The whole concept of the band was to go back to the B-Movie Science Fiction of the 1940s and 1950s Space age movies and re-create a look added with our own Astro-Billy music. It's lasted for two decades now and the boys are still playing at some of the world's top Rock n Roll and Rock a blly events."